For those who feel intimidated by a traditional MRI, an open MRI machine might be the perfect thing to put your mind at ease. Many patients prefer an open MRI because it’s less claustrophobic and makes them feel more comfortable. Do you think you need to request that your next MRI be in an open MRI machine? If you are looking for an open MRI in Virginia, you may have some concerns relating to a traditional MRI. Sometimes, people deal with anxiety and even fear when it comes to needing an MRI. Claustrophobia is one of the most common phobias in the world, and it can make necessary scans like MRIs more difficult to follow through with. If you are a patient with Anthem medical insurance, you may have heard about changes to some of the requirements for medical imaging that will occur in 2018. 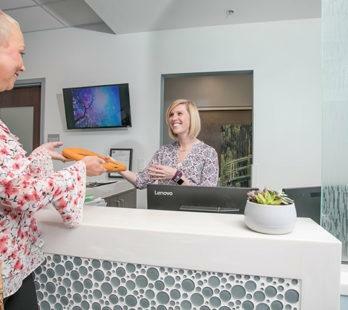 Anthem’s new rules will require that high end outpatient imaging, like MRIs and CTs, for their fully insured patients be provided in a non-hospital setting that does not bill as a hospital. If your doctor has ordered an MRI, you may feel a bit of apprehension. Traditional MRI machines can be nerve-wracking for those who suffer from claustrophobia. But a True Open MRI, which is open on all four sides, can make all the difference in the world when it comes to relieving anxiety and giving you peace of mind. Magnetic Resonance Imaging (MRI) creates detailed images of the organs and tissues using magnets and radio waves rather than radiation. 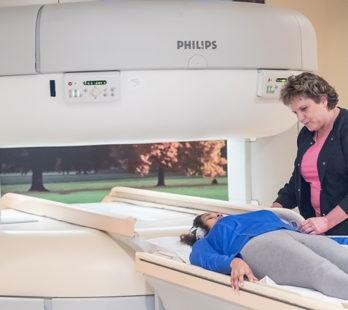 An MRI can be used to detect cancer, nerve injuries, brain bleeding, abdominal issues, arthritis, torn ligaments, infections, spinal disc problems, and more. It has long been trusted as an effective, noninvasive imaging technique. 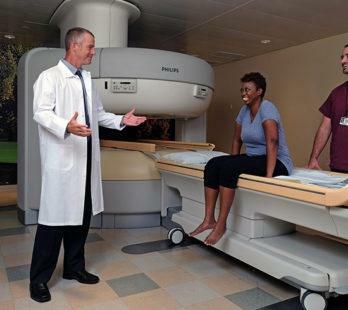 What is a Diagnostic Imaging Center? Diagnostic imaging is the term used to describe all the different ways that physicians are able to look inside your body. 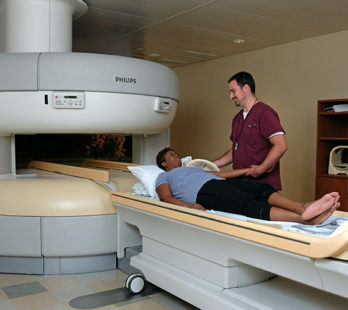 A diagnostic imaging center has equipment and trained specialists to perform those tests. 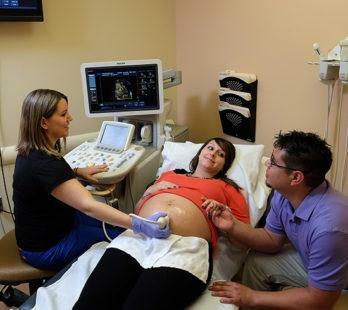 A doctor is then able to take the results from the diagnostic tests and draw conclusions from them. Screening is used by healthy people to look for potential problems. 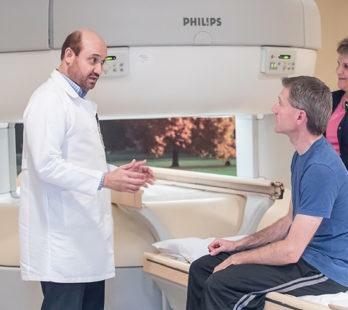 Diagnostic imaging describes a variety of non-invasive methods of looking inside the body to help determine the causes of an injury or an illness, and to confirm a diagnosis. It is also used to see how well your body is responding to a treatment for an illness or a fracture. The most common types of diagnostic imaging include the following services. Is it worth finding an Open MRI near me? You might have heard of an open MRI and wondered, “is it worth finding an open MRI near me?” An Open MRI is worth considering for many reasons, but first, what exactly is an MRI? 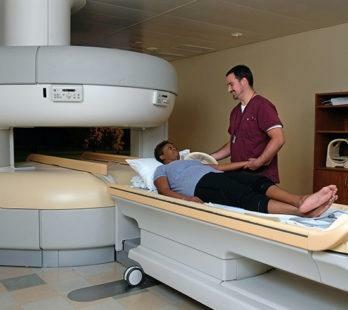 MRI (Magnetic Resonance Imaging) is a diagnostic test using radio waves and magnetic fields. 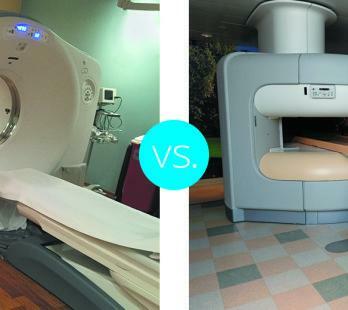 CT scan vs. MRI: What’s the difference? Modern medicine has advanced well beyond x-rays. At Medical Imaging of Fredericksburg, we have ultrasounds, mammography, CT scans, several types of MRIs, PET scans, and PET-CT scans. The two most commonly used tests besides x-rays are CT scans and MRIs, both of which provide more detail than x-rays. If you need specialized imaging, it can be helpful to understand the operation and uses for a CT Scan vs.